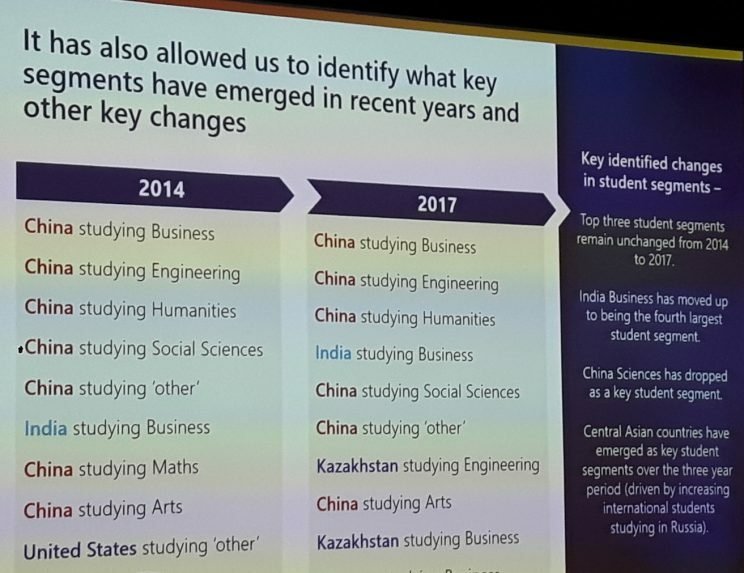 Last march in Kuala Lumpur, the APAIE 2019 conference took place with many workshops we could attend. 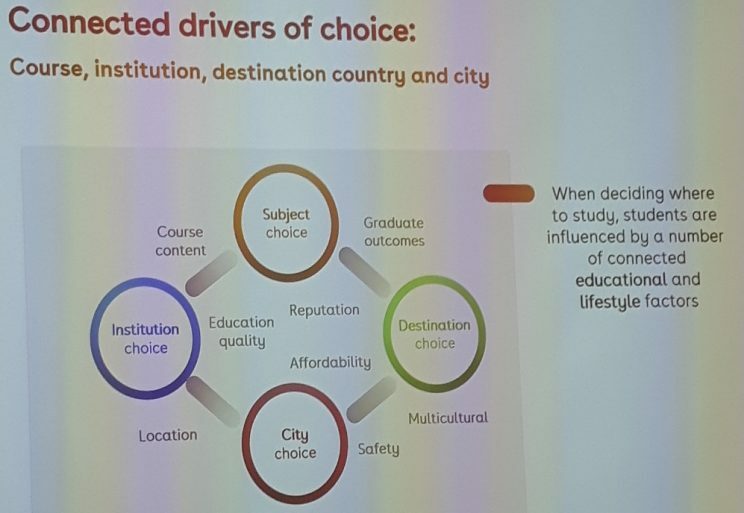 Here’s a set of key take-aways in the International education field, for the Asia Pacific region and beyond. 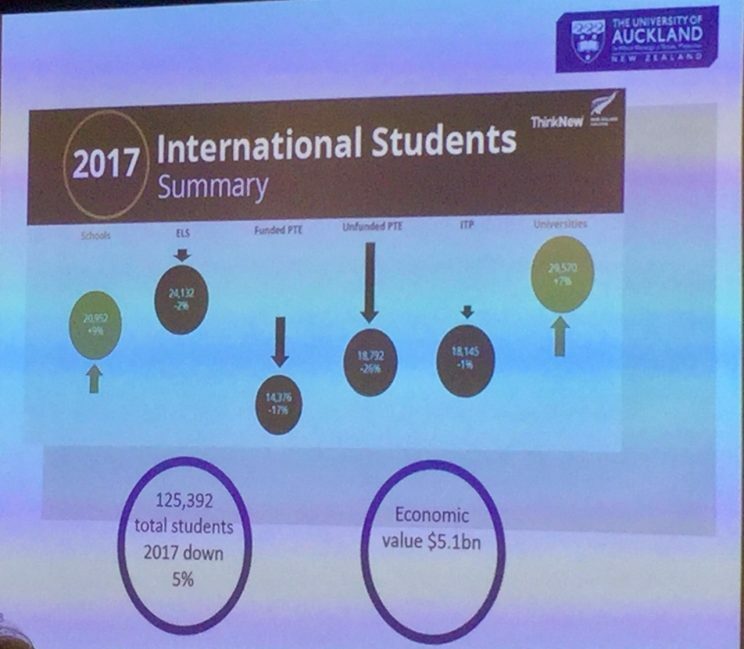 Presented by Prof Jenny Dixon, University of Auckland brings two key figures about international students in 2017, with 125.392 total students (down 5%) and an economic impact of $5.1Billion. 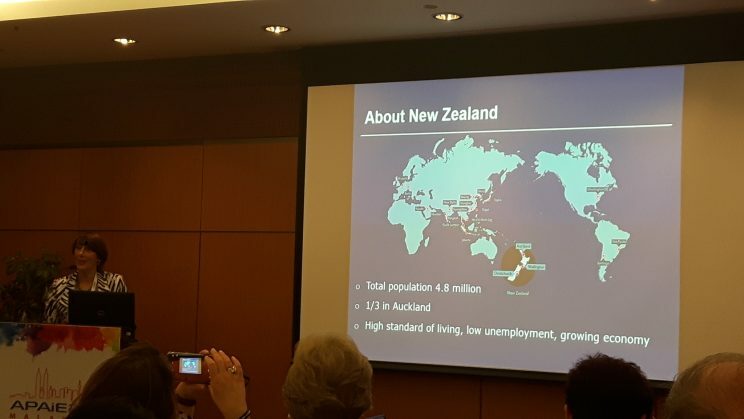 The total NZ population is 4.8 million, 1/3 lives in Auckland. 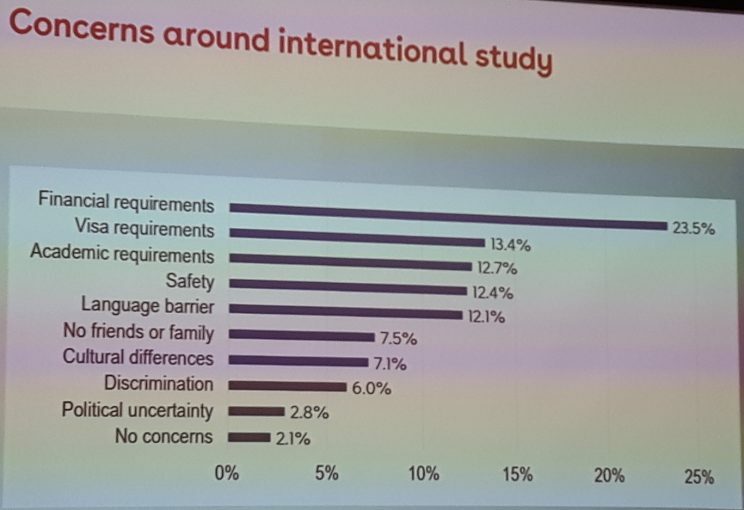 NZ claims the word’s best post-study rights. The university of Auckland will welcome the APAIE 2021 conference, after Vancouver next year. 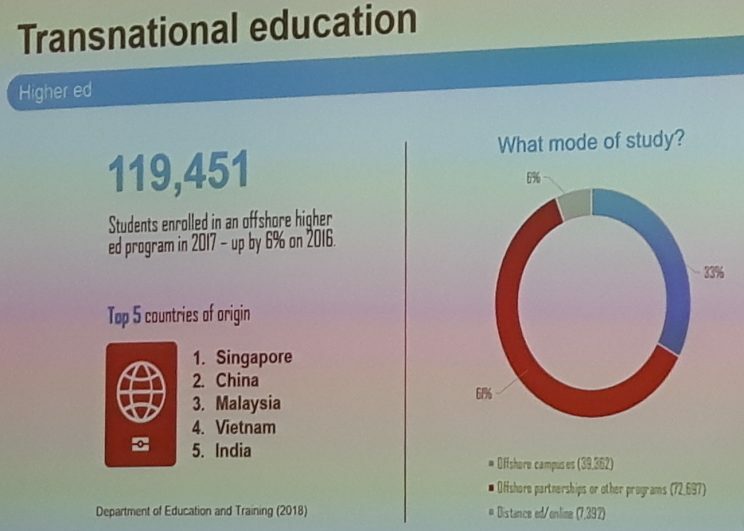 Mrs Melissa Banks presents the 3rd most popular education destination with 693,750 international students in 2017 form 198 countries. 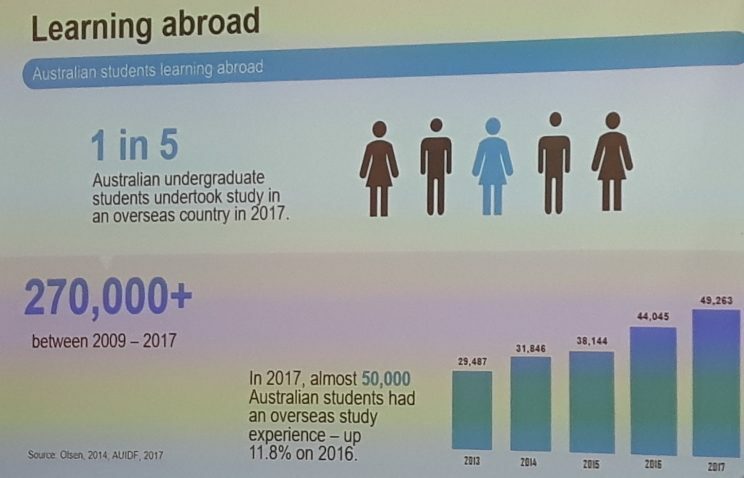 1 in 50 people in Australia is an international student. 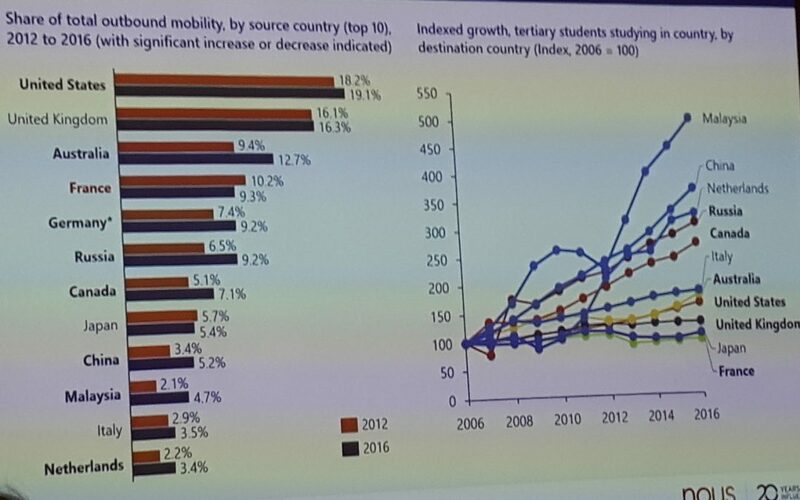 Outgoing mobility is way more different, with only 50.000 students in 2017, but it keeps growing. 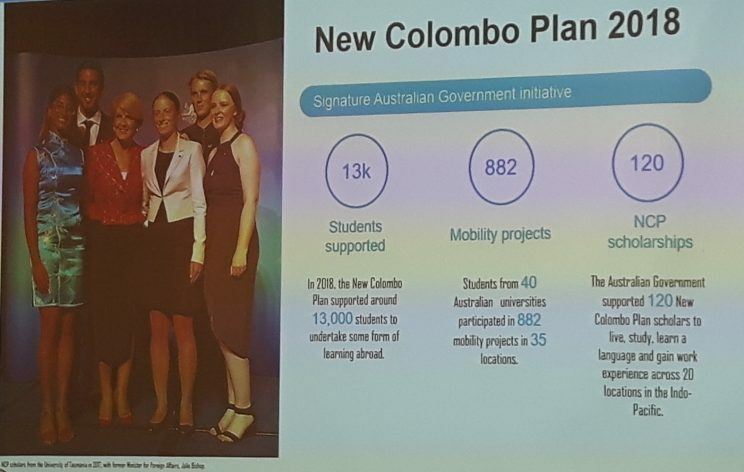 The mobility is powered by the New Colombo Plan, with new challenges in the VET/TAFE field, for non-elite candidates and employability. 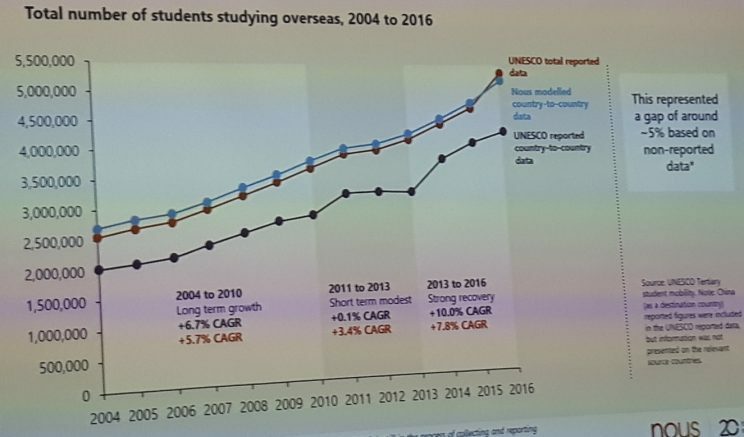 119.451 students enrolled in an offshore program in 2017. Top 5 countries of origin are from Singapore, China, Malaysia, Vietnam and India. 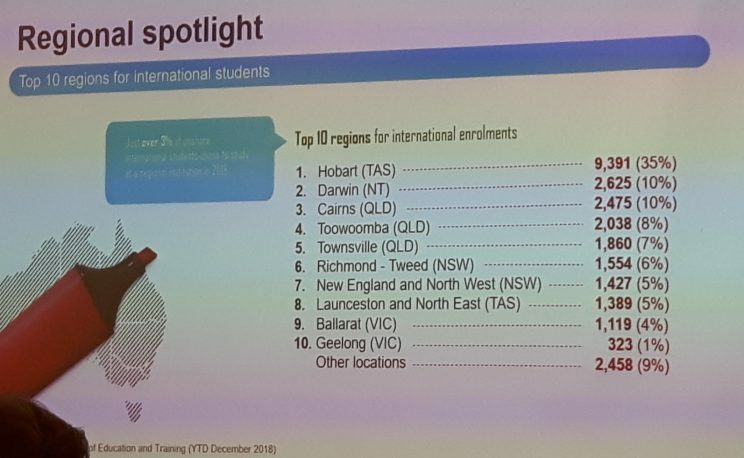 There is a concern to drive more international students in the regions, with scholarships available. Regulation of education agents is also mentioned with DET Education Agent Performance Data policy paper. 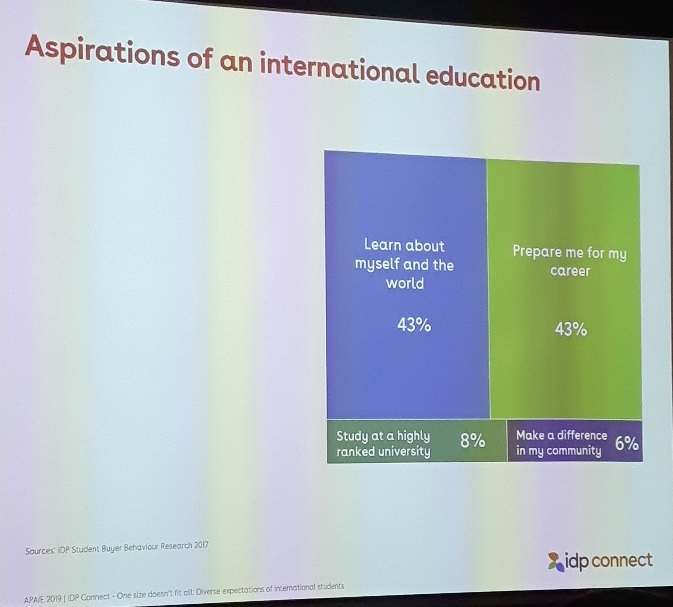 Presented by Lyndell Jacka, we see that “learn about myself and the world” and “Prepare for my career” are more important than academic rank and impact the community. 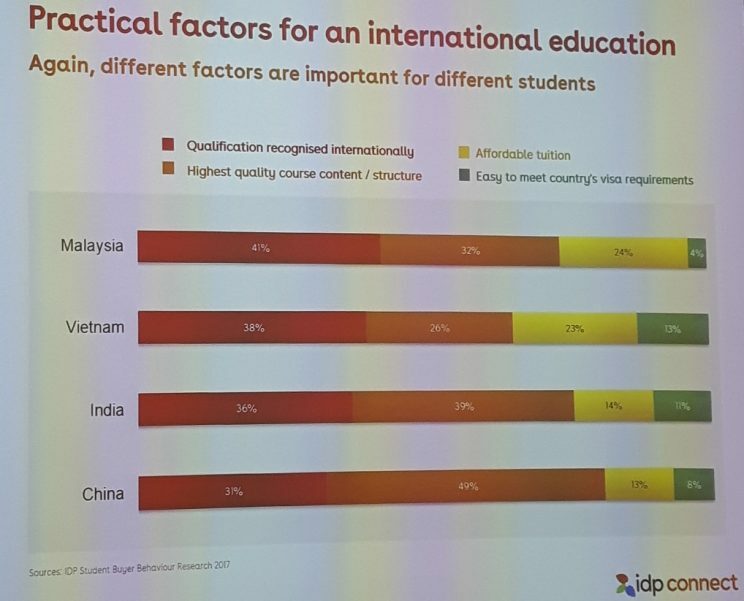 There are substantial differences between Malaysia, Vietnam, India and China in terms of expectations on Qualification recognition, tuition level, quality of course content and visa requirements. It means that it could be impactful to focus your international communication (digital, print) differently whether you target indian or Chinese candidate for example. A very interesting map of drivers and factors could represent a brick to define a strategy for an institution, and for a candidate as well. 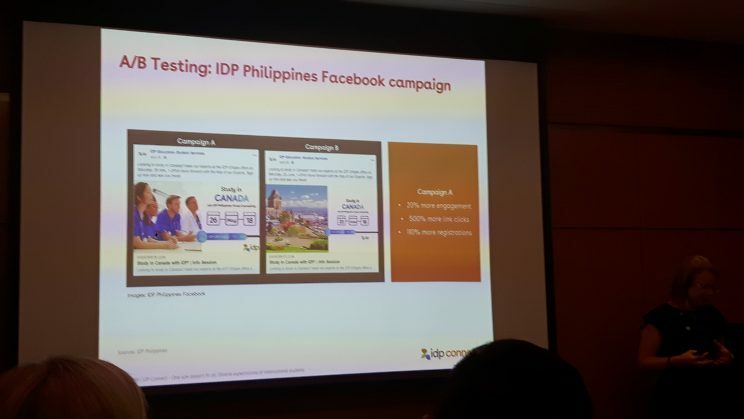 A/B testing on digital campaign shows the efficiency of studying your panel before investing higher funding in the pipes, to use pictures and text content that make sense to your audience. 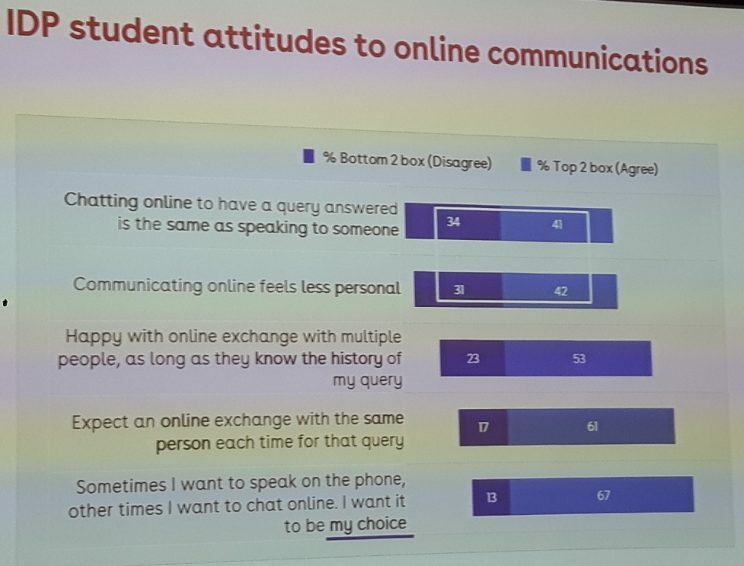 Interesting insights on the online interaction and discussions, and hurdles to grow chatbots in the field, keeping in mind that candidates want to decide how to communicate. Financial concerns are still very prominent, whereas political uncertainty does not seems to be a concern. 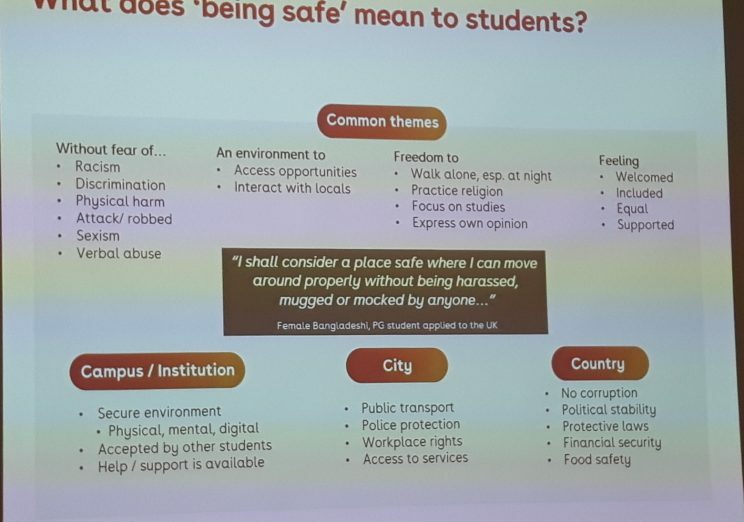 Being safe has many perceptions, that can be applied by a university to define its safety strategy. 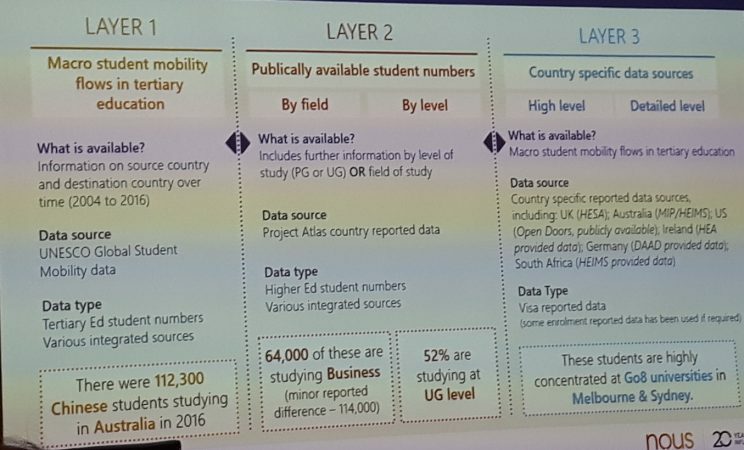 Based on UNESCO and project ATLAS, Kadi Taylor (Navitas) and Jonathan Chew (Nous Group) are building a global analysis of the emerging countries combining macro flows, public data on student numbers and country specific data sources. One of the outcomes is to try to measure maturity of markets with indexed growth. 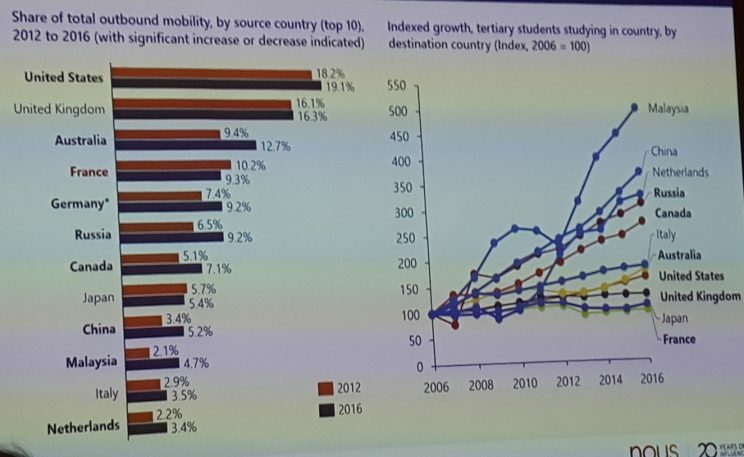 Malaysia, China, Netherlands, Russia and Canada show interesting curves, for different reasons. 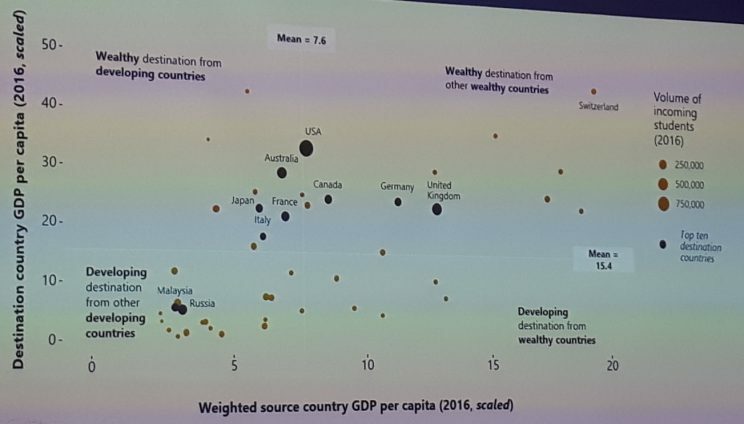 Interesting insights on the destination vs wealth of student base, cultural distance. 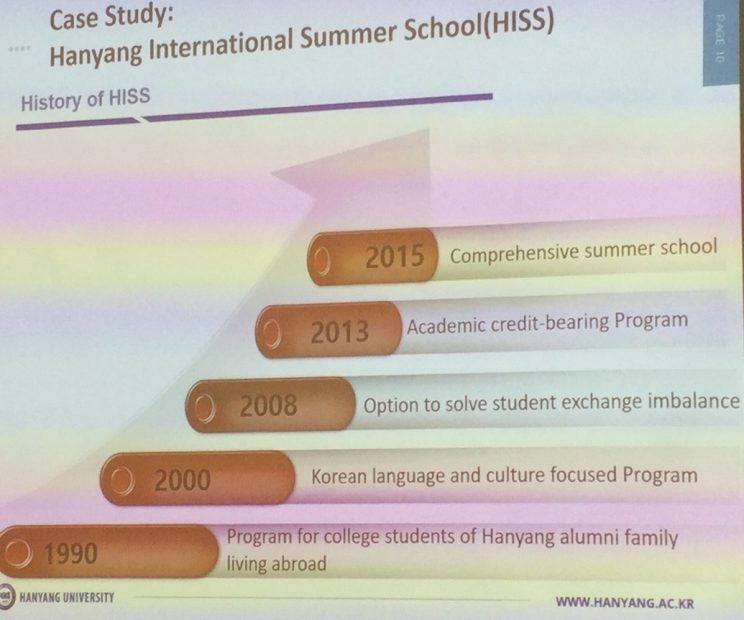 Hanyang has an impressive summer school set-up run by a team of 4 FTE. 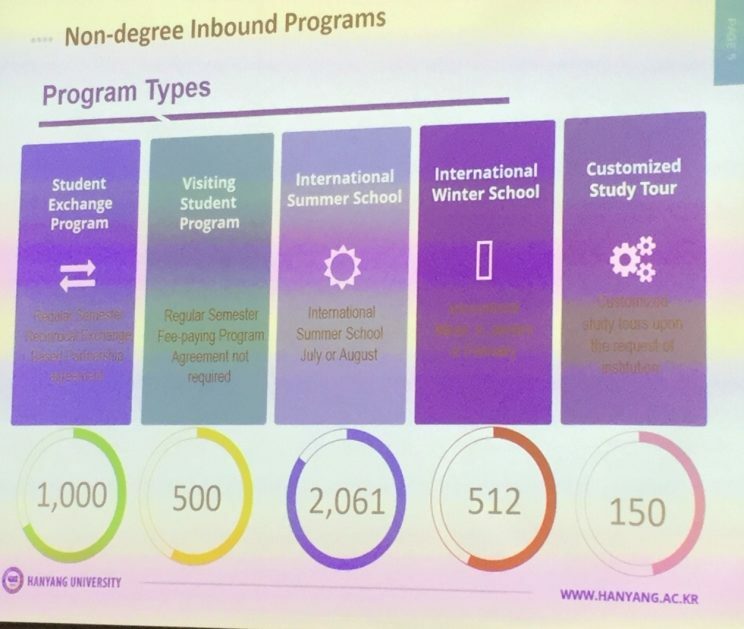 Their non-degree inbound programs count 5 streams: student exchange program (1.000 students per year), visiting student program (500 students per year), international summer school (2061 students per year), international winter school (512 students per year) and customized study tour (150 students per year). 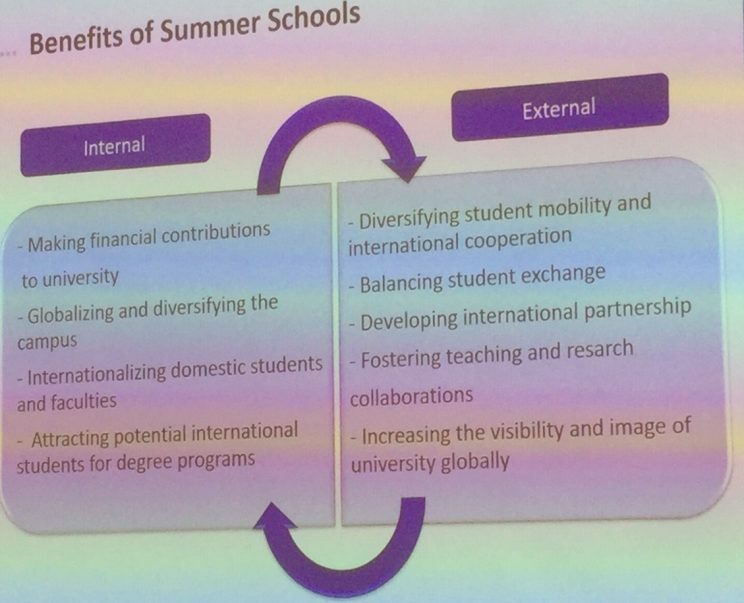 Several internal and external benefits are brought by Summer schools, from creating a financial revenue to increasing the brand. 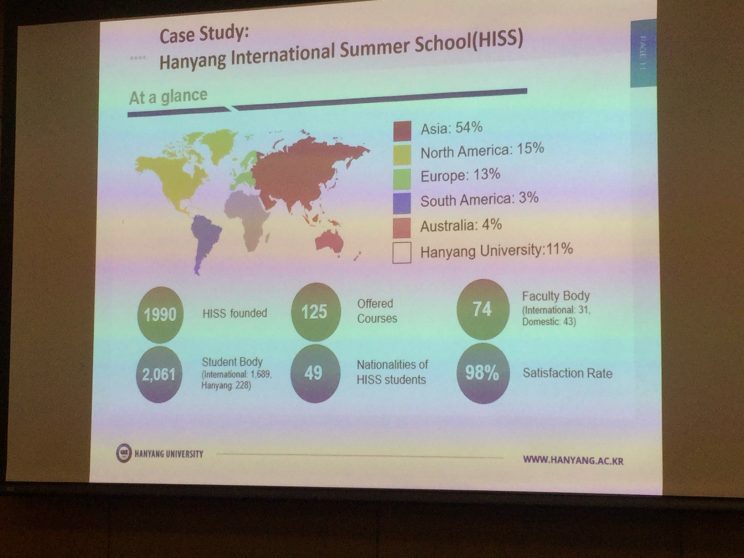 Hanyang University ran its first summer school in 1990 and developed it to 2.061 participants from 49 nationalities. It has reached an outstanding 98% satisfaction rate. 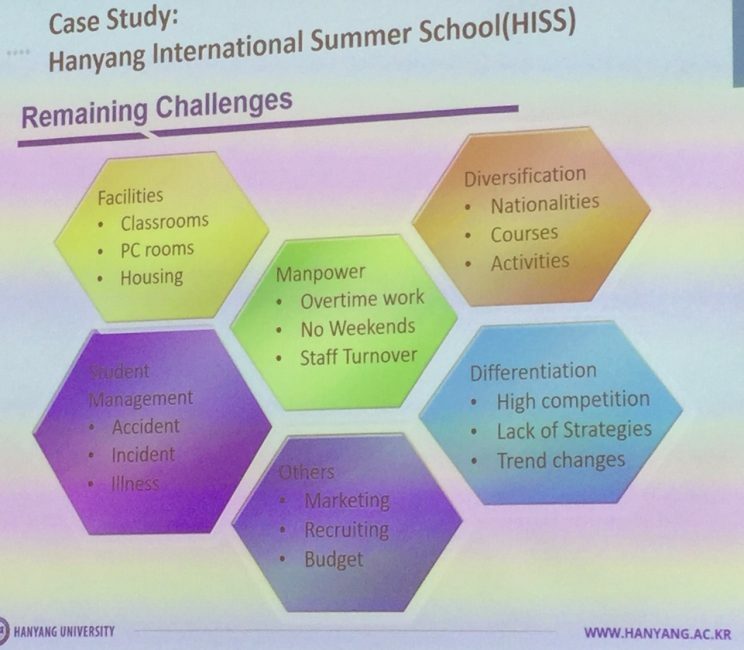 The HISS department has to face challenges like equipment, housing capacity, diversification, and differentiation, since copypasting offers is common practice. If you had to choose one partner over the mass of signed agreements to focus investments, who would it be? What could you achieve? 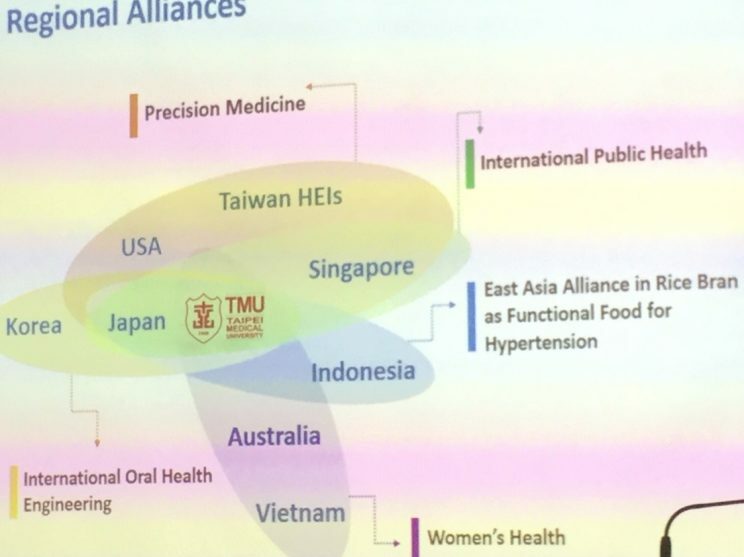 Prof Pei-Shan Tsai from Taipei Medical University, Taiwan presents the benefits of building a strategic partnership, at a regional level. 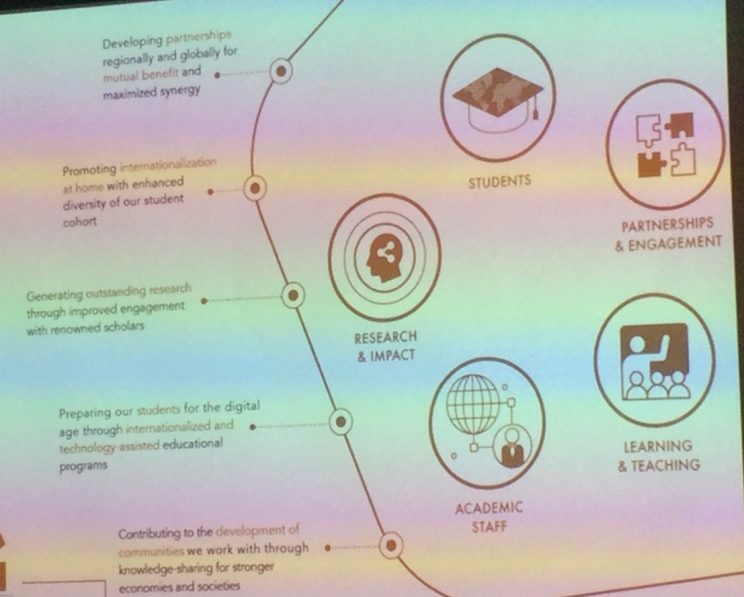 This strategic partnership is part of a global university vision. 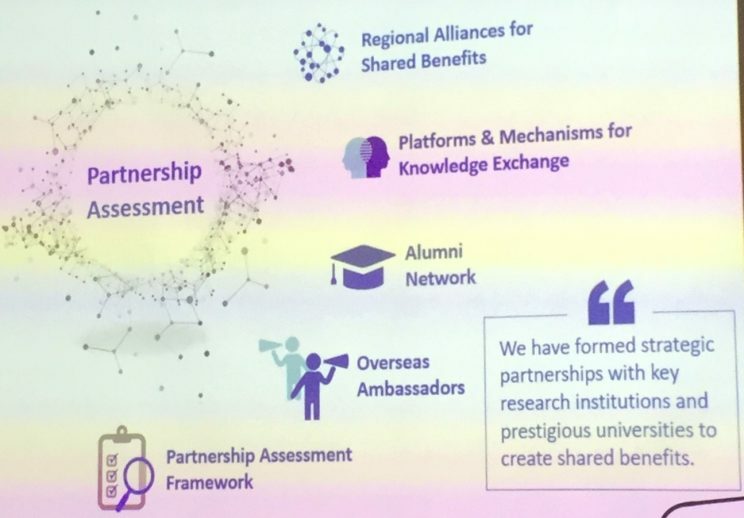 The first step is to drive an assessment of current partnerships, reviewing the performance in 4 domains with key indicators : international student and faculty mobility, education collaboration, research collaboration and academic impact and featured development. 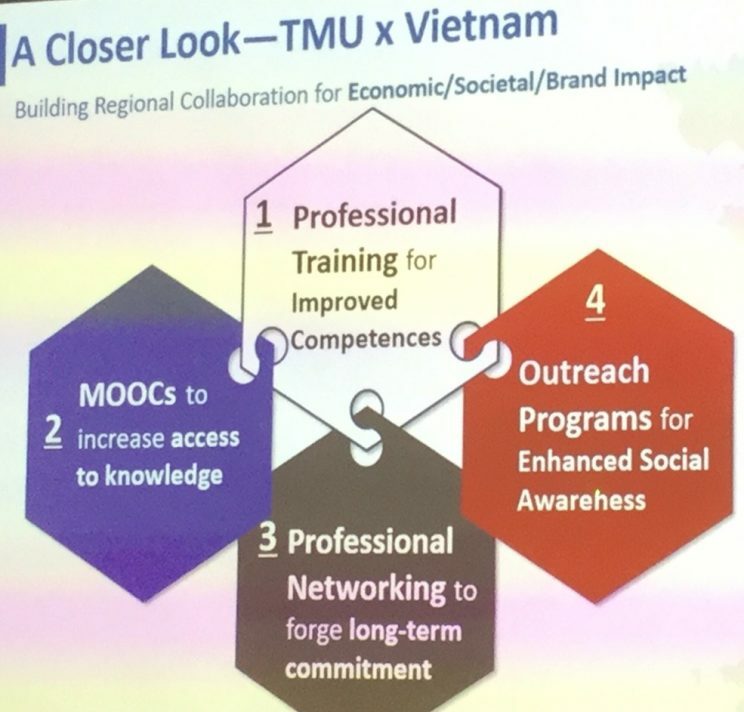 A second step is to design regional alliances aligned on smart specializations, such as women’s health for example with Vietnam. 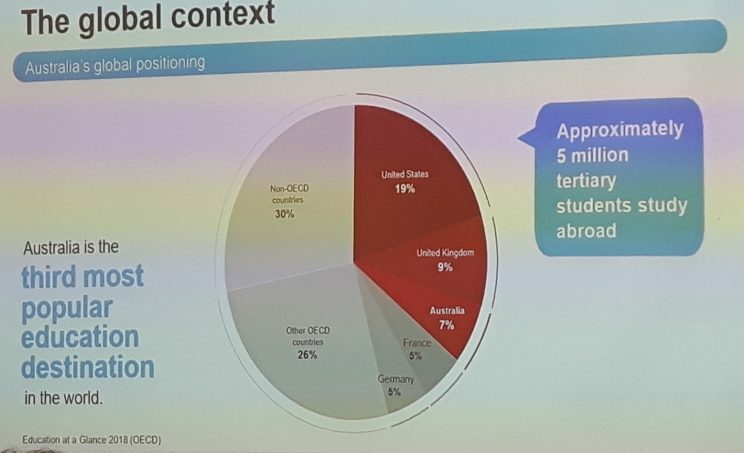 Concentrating investments led to interesting results and outcomes : Moocs in regional languages, specific training, outreach programs and long term commitment networking.